Today Google Doodle pays tribute to Nobel Prize winner, Polish-French scientist Madame Marie Curie. The Doodle celebrates the 144th birth anniversary of Marie Curie known for her pioneering research work on radioactivity. The Polish-born physicist and chemist Marie Curie is well known for her pioneering work on radioactivity and for her important contribution to the fight against cancer. Google pays a tribute with a doodle that showed her sitting amongst her laboratory apparatus. And if you click on the doodle and you will be redirected to a page returning the search results to her name. Marie Sklodowska Curie (7 November 1867 – 4 July 1934) was a Polish–French physicist and chemist, famous for her pioneering research on radioactivity. She was the first person honored with two Nobel Prizes in physics and chemistry. She was the first female professor at the University of Paris, and in 1995 became the first woman to be entombed on her own merits in the Paris Panthéon. In July 1898, the Curies announced the discovery of a new chemical element, polonium. At the end of the year, they announced the discovery of another, radium. In 1903, Marie Curie and her husband Pierre Curie shared Nobel Prize for physics with Henri Becquerel, the discoverer of radioactivity, for their researches on the radiation phenomena discoveries. 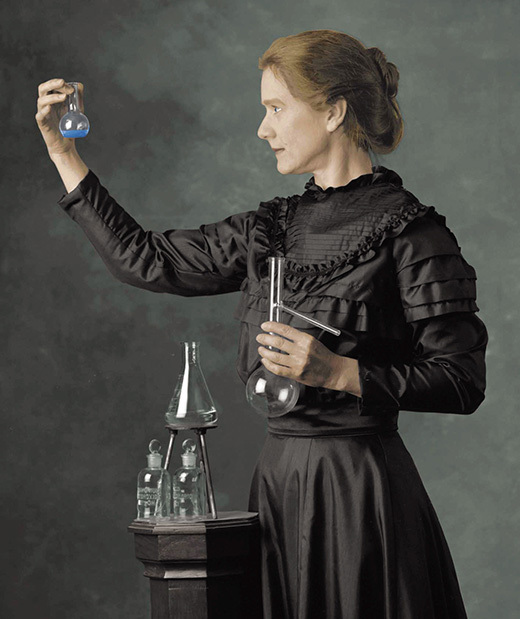 She received a second Nobel Prize in 1911, this time in Chemistry, in recognition of her work on radioactivity. She died on July 4, 1934, from aplastic anaemia, a condition caused by her exposure to radiation as during her entire tenure of research, she worked out of a shed with no proper safety against radioactivity. Google estimates it has created more than 1000 doodles since 1998 and they will still continue to celebrate holidays, anniversaries, and the lives of famous personalities like Marie Curie.